Chris Dawson offers $1.5 million in bid to secure bail. "You're kidding": Chris Dawson responds to comments made during bail application. 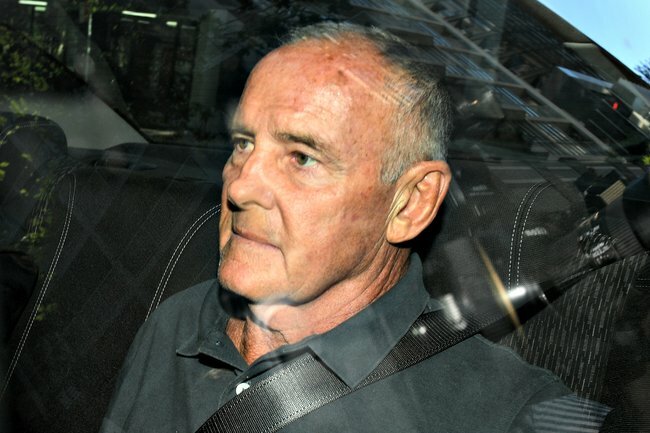 Chris Dawson allegedly approached a man with criminal connections about how he might go about getting rid of his wife Lynette Dawson, a Sydney court has heard. The former rugby league player, who intends to plead not guilty to murdering Ms Dawson almost 40 years ago, faced court via video link for a bail application on Friday. He will remain behind bars over the weekend, with magistrate Robert Williams set to make his bail decision in Central Local Court on Monday. Ms Dawson was 33 when she disappeared from Sydney’s northern beaches in 1982. Her body has never been found. Crown prosecutor Craig Everson said the case against Dawson “was based upon a number of strong circumstances” and the conclusion that his wife died in January 1982 was “irresistible” based on the evidence. “She didn’t collect her last pay cheque. She left her contact lenses at home … her clothes were left behind. She didn’t drive. She didn’t have a licence. She never left an Australian point of international departure, never went to a doctor,” the prosecutor said. Mr Everson said Dawson, now 70, allegedly asked a man about how he might get rid of his wife, and that he told her at a counseling session that “If this doesn’t work, I’m getting rid of you”. Dawson, dressed in a green prison jumper, said “you’re kidding” when Mr Everson suggested he was an “unacceptable flight risk”. The prosecutor had noted Dawson could easily pass as his identical twin brother. Dawson’s defence lawyer, Greg Walsh, told the court there had “quite clearly” been “an orchestrated campaign to portray this man as being guilty”. He said the Crown’s “entirely circumstantial” case was far from strong and there was evidence Ms Dawson had been seen alive following her alleged murder. The lawyer had “inherent criticisms” of the police investigation and said there’d be an issue around whether people’s memories and beliefs were shaped by Ms Dawson’s disappearance. There was also the “the added feature of what has happened in recent times as to the publicity of the podcast”, Mr Walsh said, referring to The Australian’s popular podcast on the case The Teacher’s Pet. The lawyer said his client could offer total security worth $1.5 million and would reside in Queensland if granted bail. Dawson’s brother, Peter, who was in the court, accused a journalist of assaulting him as he was leaving court. He also yelled for police. “Anybody else who gets in my space will be charged with assault, you got that? Thank you,” he said.